Stay in Union Gap and discover adventure just minutes away. From hiking and mountain biking to motor sports and more, you’ll find every reason to get outside. Check out a few favorite destinations. 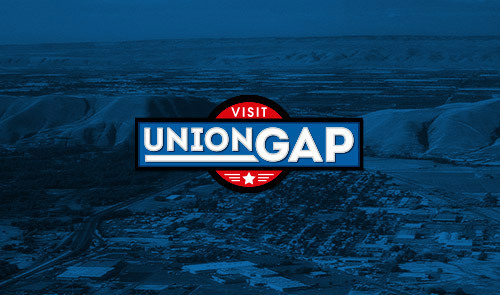 Right in Union Gap, find two trailheads at the Central Washington Ag Museum that lead to stunning views of upper and lower Yakima Valley from the top of Ahtanum Ridge. One trail head begins at just behind the museum and the other on the museum grounds. Round trip, from one trailhead to the other is three miles. The museum provides walking poles outside the visitor center on an honor basis. The 75,000-plus-acre Ahtanum State Forest is just 30 miles away and offers a variety of warm weather outdoor recreation opportunities, including camping, bird watching, hiking, horseback riding, off-road vehicle riding and mountain biking. Ahtanum State Forest includes roads in the Green Dot Road system which are open for vehicle and off-road-vehicle riding. At more than 3,000 feet, have fun in the snow and the sun, with everything from snowmobiling and snowshoeing to fat bikes. Ahtanum Meadows and Ahtanum Guard Station snow parks are just a short drive away. You’ll find 67 miles of groomed snowmobile trails in the Ahtanum Winter Recreation Area, which includes the Ahtanumn Green Dot Road system.